Melvin Morrow has become a barbarian warrior maiden. Will he be able to escape this new, dangerous world and the chainmail bikini he foolishly chose as his armor or will he and his friends be stuck living their lives as their game avatars? Melvin's a teenage boy not used to being ogled or the real world consequences of wearing a steel bikini. But the real world has shifted... him, his friends Jason and Rich, and his big brother Mike are stuck in character, in a place where danger doesn't lurk because it prefers to boldly stride out in the open. Mages import game players like Melvin via the Rift Pendulum. 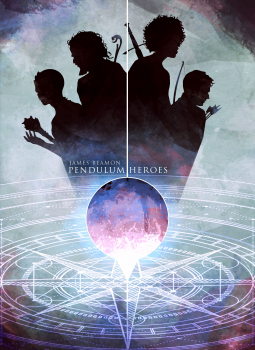 The reason: the work's suicidal and pendulum heroes are insanely powerful. Usually. Melvin and his friends can be, too, if they're in the right emotional state to trigger into character. Melvin's a one-man, uh, one warrior maiden army when he's angry but anger's hard to find with all that mortal danger striding around everywhere. The road back home's at the end of a suicidal quest. Melvin better find something to rage about... because being genre-savvy only gets you so far. The plan is simple: keep buzzing until people hear it.